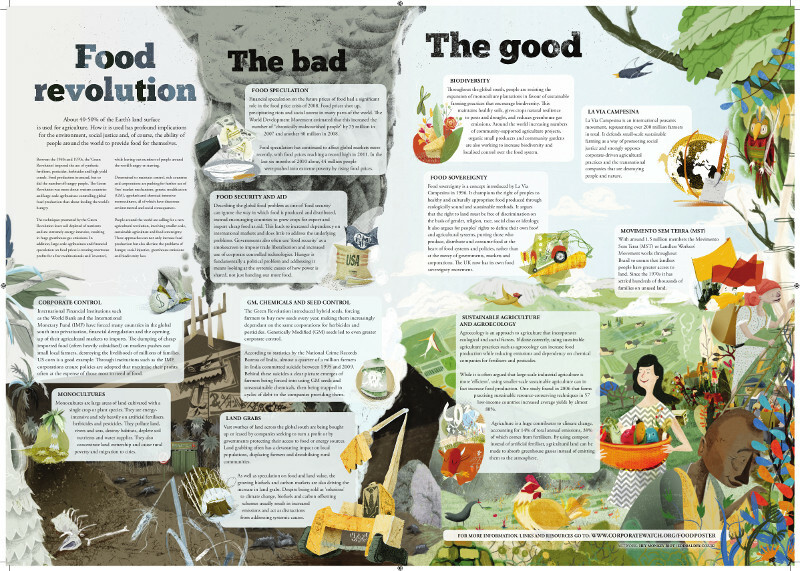 Corporate Watch has produced a new poster on food systems, ‘Food Revolution’. 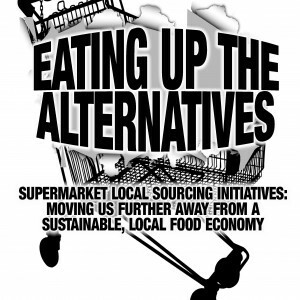 The poster describes the various problems with our existing global food systems, such as corporate control and food speculation, and outlines the socially just and ecologically sustainable alternatives, such as food sovereignty. Part of the motivation for producing the poster was to address some of the problematic solutions to global food problems, for example those based on food security and market mechanisms rather than food sovereignty, that are being promoted by the ‘G8 New Alliance on Food Security and Nutrition’ (http://iif.un.org/content/new-alliance-food-security-and-nutrition) and some involved in the ‘If’ campaign (http://enoughfoodif.org/ ), both of which will get a lot of attention in the build up the G8 summit being held in the UK this year. Describing the global food problem as one of ‘food security’ can ignore the way in which food is produced and distributed, instead encouraging countries to grow crops for export and import cheap food as aid. This leads to increased dependency on international markets and does little to address the underlying problems. 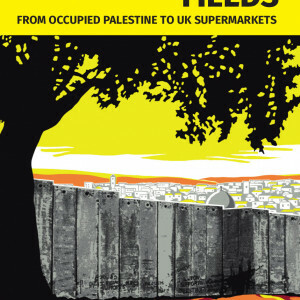 Governments also often use ‘food security’ as a smokescreen to impose trade liberalisation and increased use of corporate controlled technologies. Hunger is fundamentally a political problem and addressing it means looking at the systemic causes of how power is shared, not just handing out more food or promoting private investment and market mechanisms. People around the world are calling for a new agricultural revolution, involving smaller scale, sustainable agriculture and food sovereignty. These approaches can not only increase food production but also alleviate the problems of hunger, social injustice, greenhouse emissions and biodiversity loss.